People tweeting IStandWithPhil.com, the website created in support Duck Dynasty ’s Phil Robertson, have been blocked by Twitter. The Christian group Faith Driven Consumer, which is behind the IStandWithPhil.com page, said a petition at the site has yielded 200,000 signatures in less than four days. 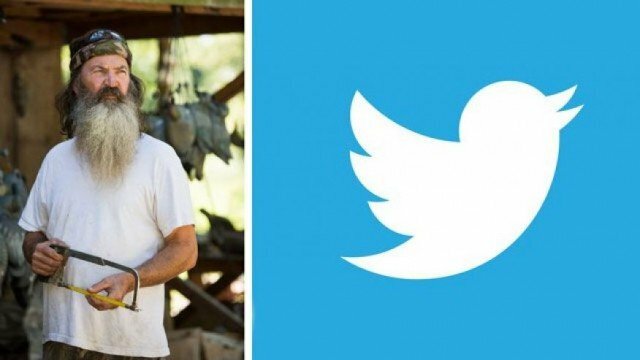 The group said Twitter has also shut down two other pro-Phil Robertson social media accounts. “Despite Twitter’s shut down of iStandWithPhil.com, we are surging through 200,000 supporters. In recent days, iStandWithPhil.com is among the top trending hash tags on Twitter,” said Chris Stone, founder of the group. The group notes that a Google page diagnostic of the site indicates it “is not currently listed as suspicious” and that “this has not hosted malicious software over the past 90 days”. When it complained to Twitter, the group said, it received a boilerplate message saying Twitter “has systems that blocks [sic] the posting of suspected harmful URLs in order to make Twitter safer and more secure for our users. … Even if Google’s diagnostic report of the URL is clean, we may decide to continue blocking the URL on Twitter as potentially harmful”.